We are in the year 2019 and things have been already rocking n’ rolling. 2018 was a great year for VR games with hit titles such as Beat Saber, which drew in a massive crowd to the immersive platform. We also recently heard about the big announcements with other AAA VR game titles that’ll be released in the near future. 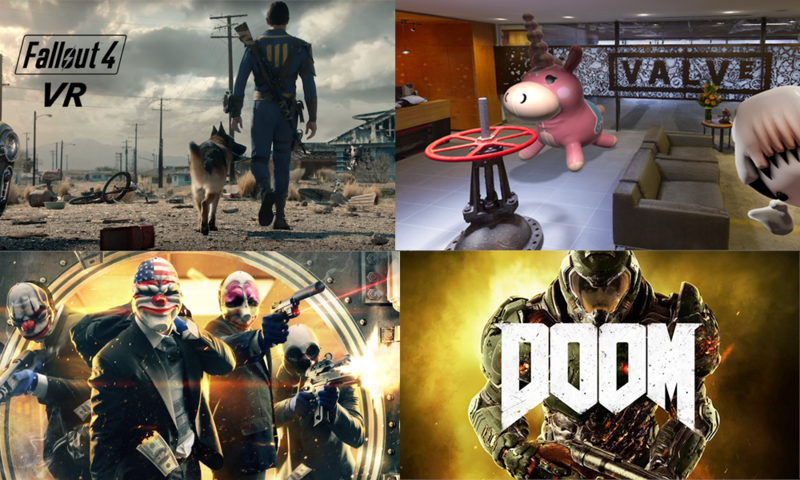 Here are some of the other highly budgeted VR games that are available today or will be available in the near future. Players will enter the world of Pandora and become a treasure treasure-seeking Vault Hunter facing off against the galaxy’s most charming psychopathic dictator – Handsome Jack – with nothing but your arsenal of 87 bazillion guns. Boderlands 2 VR out now on PlayStation VR for $49.99. The game will be releasing on the HTC Vive and Oculus Rift at a later date. Assetto Corsa Competizione is coming to VR. The company announced that they will be launching the new title on Steam Early Access starting September 12, 2018 with VR support starting on October 10th, 2018. To properly represent psychosis, developers worked closely with neuroscientists, mental health specialists, and people suffering from the condition to add in more realism. The game is available now. 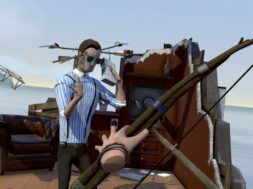 Defector is an upcoming new spy action VR game from Twisted Pixels (creators of Wilsons Heart) and Oculus Studios that’s ready to bring some new unique content to the platform. Being an exclusive title, the two teams have put a lot of work into this title to make it fresh and exciting for the Rift users. Defector is set to release some time in 2018 and we are looking forward to playing this unique game in VR created by Twisted Pixel and Oculus Studios. Wolfenstein: Cyberpilot drops you into the role of a resistance hacker on a mission to tear apart the Nazi forces in Paris using their own machines. Take control of a fire-breathing Panzerhund and more as you fight Nazis in the City of Love in order to aid the French resistance. Wolfenstein: Cyberpilot will be available as a standalone VR game sometime in 2019. They haven’t specified which platforms the game will be coming to. In the past, they’ve released their games on PlayStation VR, Oculus, and the HTC Vive. In Stormland, you’re an android gardener on a lush alien planet, but The Tempest shattered your android body. Now you must journey through an ever-changing cloudscape to augment yourself and save your friends. Explore an expansive world with complete freedom—bound up cliffs, glide across chasms, and fly through the slipstream with velocity. Detonate explosives, harness electricity, and wield makeshift weapons to overcome titanium sentries and monolithic guardians. You will be able to play Stormland in single-player mode or explore the forgotten ruins together with friends. Stormland is a work in progress title where we’ll be learning about the release date later down the road. This will be an exclusive title on the Oculus Rift developed by Insomniac Games. Marvel Powers United will be the first VR game put out by Marvel Entertainment that focuses on their superheroes with their amazing powers. The game was first announced this year at D23. Marvel Powers United is available on Oculus Rift with no words on it being available on the HTC Vive or PSVR. 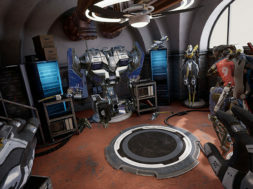 Marvel Powers United VR was developed by Sanzaru Games, the team behind VR Sports Challenge and Ripcoil. The heroes that have been announced include: Rocket Raccoon, Deadpool, Captain Marvel, The Hulk, Ronan the Accuser, Crystal, Black Bolt, Thor, and Loki with more to come. The game is now available. Ready At Dawn studios, the creators of titles such as God of War, The Order: 1886, Lone Echo and Echo Arena have announced that they’ll be releasing a follow-up game to Echo Arena called Echo Combat. There isn’t much known about the new title besides it being a follow-up game to Lone Echo and Echo arena. We anticipate that it will be a competitive VR game set within an arena in space. Echo Combat is now available on Oculus Rift. Respawn Entertainment, creators of Titanfall, have announced that they’ll be releasing a brand new AAA VR title in partnership with Oculus. The date has been set for 2019 and we don’t yet know the specifics of the content. All we know is that Respawn is aiming high in this new field and will be challenging other studios in what future gaming looks like. Beat Saber has been one of the few VR games recently that have drawn a lot of attention prior to release. Created by Hyperbolic Magnetism the game will offer users a chance to wield dual light sabers in their hands and crush oncoming objects to the rhythm of a beat. 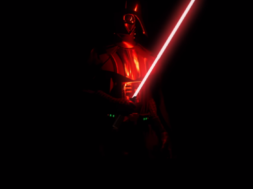 In Beat Saber, you will find that every beat indicates which saber you need to use and also the direction you need to match. All the music is composed to perfectly fit the handcrafted levels. The goal of the game is to make players dance while cutting the cubes and avoiding obstacles. 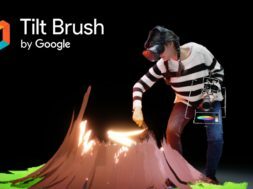 Each cut is strongly supported by great sound and visual effects to emphasize the rhythm in VR. Beat Saber is now available on Steam for Oculus Rift and HTC Vive for $19.99. Every choice you make in the game will have its own unique consequences. Your life (and the lives of those around you), are dramatically affected by the decisions you make. You can purchase the game today for $39.99. The Sony team announced a new upcoming PSVR FPS game called Firewall: Zero Hour. This will be a new tactical shooter game developed by First Contact Entertainment. Firewall: Zero Hour will be a 4 vs 4 multiplayer game where players are equipped with various weapons and tactical devices such as radars, grenades, etc. The two teams of mercenaries are hired by anonymous contract handlers to either protect or obtain highly sensitive information on a laptop in dangerous and exotic locations around the globe. So far there is little detail on when Firewall: Zero Hour will be released but we expect it to make its debut some time in 2018. The game will be available on the PSVR with no detail on its release for the HTC Vive or the Oculus Rift. Rockstar Games has confirmed that LA Noire will be released in VR through a new title called LA Noire: The VR Case Files. This new VR experience will feature seven select cases from the original game rebuilt specifically for a virtual reality experience on the HTC Vive. Rockstar Games will also be releasing new versions of LA Noire for Nintendo Switch, PlayStation 4, and Xbox One. There have been riddling rumors of this becoming a VR experience just like how there have been rumors about Skyrim VR. But now we know for a fact that LA Noire: The VR Case Files will be released in VR. There aren’t any words yet on its availability for Oculus Rift or PlayStation VR. LA Noire: The VR Case Files is now available for $29.99. You can purchase the game today. Bethesda has recently announced that Fallout 4 will be coming to VR with the release set to launch in October. 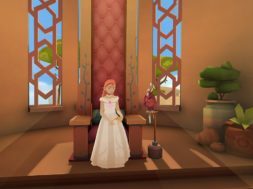 The creative studio will be making a full adaptation of the game onto the VR platform where users will have the ability to experience the amazing story in all it’s glory. 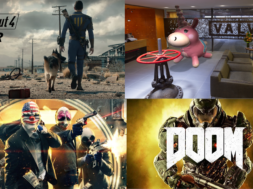 Just a couple of months ago Pete Hines, VP of Marketing at Bethesda, stated, “Fallout4 VR is the most incredible thing you’ve ever seen in your life. You can’t even imagine what it’s like playing in VR and how realistic it looks. And everywhere you turn your head, it’s going to blow your mind.” During E3, we had to pleasure of seeing it up close in-person and it really is something to be seen. Fallout 4 VR is now available for $59.99 on Steam. Slightly Mad Studios released an amazing simulation for VR called Project Cars 2. This is an original follow-up to their first simulation game called Project Cars which showcases some of the supercars available today. 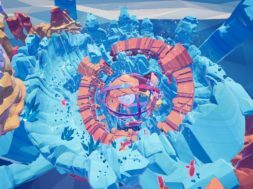 The game boasts some of the best quality graphics we’ve seen to date in VR while providing an accurate portrayal of what driving cars would be like in racing environments. As a matter of fact, a lot of professional drivers use Project Cars 2 to stay focused and train for real races. In an interview with Tom’s Hardware, Rod Chong from Slightly Mad Studios stated, “We’ve been working hard to make sure that Project Cars 2 is as immersive as possible. There’s a lot of new things we’re doing in Project Cars 2, such as new rendering techniques, which will smooth the VR experience and make sure everything is fully optimized for both Oculus and HTC. They’ve also announced the full list of cars that’ll be available to drive in Project Cars 2 including the Acura NSX and Ford GT. Project Cars 2 is now available on Oculus Rift and HTC Vive for $59.99. Star Trek: Bridge Crew is currently available on the marketplace, developed by Red Storm Entertainment and published by Ubisoft. This unique VR title is a first of its kind allowing you to join a group of friends to command the U.S.S. Aegis and explore the vast universe. During a briefing held at GDC 2017, Chris Early, VP of Digital Publishing at Ubisoft has announced that Star Trek Bridge Crew VR will have more than 40 hours of gameplay and experiences. 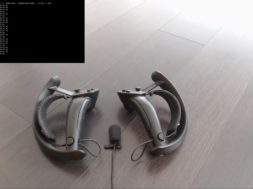 Veteran Star Trek actors LeVar Burton, Karl Urban, and Jeri Ryan were some of the lucky few that have played the VR game with nothing but praise. Star Trek: Bridge Crew is available today on HTC Vive, Oculus Rift, and PlayStation VR for $49.99. Overkill Software has recently announced that Payday 2 will make its way to VR with a full version of the game. This spunky game allows you to go on epic heists with your friends, robbing from places such as banks, jewelry stores, and other set places. Overkill also mentioned that any gameplay you’ve already unlocked will be available on the VR version. The game will also allow you to cross-play with friends who don’t own a VR headset. Additionally, if you already own a PC copy of the game, Payday 2 VR will be free for HTC Vive users. The game is now available for free if you already own a copy of PayDay 2 VR or $20.16 for new users on Steam. Doom VFR was something that Bethesda kept secret until the last minute at E3 2017. It’ll follow the tailored lineage of bringing the fast-paced, brutal gameplay fans of the series love to virtual reality. You’ll be playing as a cybernetic survivor who is activated by the UAC to fight the demon invasion, maintain order, and prevent catastrophic failure at the Mars facility. If you flinched the first time you saw a meaty Mancubus charging at you in last year’s critically acclaimed DOOM, wait till you get up close and even more personal with rampaging demons in DOOM VFR. Doom VFR is now available. Bethesda let it shine during this year’s E3 conference where they announced the highly anticipated title, Skyrim to VR. While it was only a rumor for the longest of times, Bethesda managed to surprise us with this big announcement. Skyrim will be recreated in the VR world where you’ll once again embark on the most epic journeys. Skyrim VR is now available for PSVR for $59.99 on Amazon and the PlayStation Store. It is also available on the Oculus Rift and HTC Vive through the Steam marketplace. Ready at Dawn studios is no stranger in creating highly anticipated titles. They’ve developed popular video games such as ‘The Order: 1886’ which was met with a strong turnout in sales (over 1.75 million copies worldwide). But this will be the first VR game that the studio has created. Being that Lone Echo is the first VR title Ready at Dawn Studios has worked on, they were met with calculated challenges in locomotion and design. During GDC 2017, Jake Copenhaver, the lead gameplay programmer at Ready At Dawn, gave a presentation about the game and the issues Ready at Dawn studios had to overcome. Lone Echo is set to release on July 20th alongside the highly promising arcade version, Echo Arena. 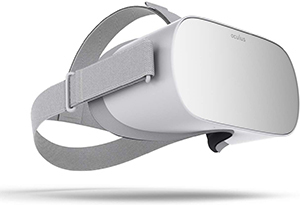 Oculus along with Intel and ESL will be holding the first VR esports tournament next year in Poland with a whopping prize-pool of over $200,000. Lone Echo is now available on the Oculus Rift for $39.99. ARKTIKA.1 is a AAA VR game developed by 4A games, exclusive to the Oculus Rift. The game itself is a first person shooter VR game that takes place in the year 2120 in a post-apocalyptic setting where small pockets of human colonies struggle to survive throughout the new ice age that has dawned on the planet. Users will play as a hired mercenary by Citadel Security to protect one of the last colonies in the wastelands of old Russia. You’ll be combating violent raiders, marauders, and other horrifying mutated creatures. ARKTIKA.1 is available for purchase at the Oculus Store today for $29.99. 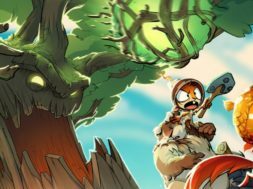 Moss by Polyarc Studios is a fun VR game that’ll be coming to PlayStation VR towards the end of the year. This unique story tells the adventures of a brave female mouse warrior named Quill. She is on a journey in a remote forest settlement who’s fated to be the key in a much larger story. You’ll be guiding Quill while also directly manipulating the field of play as your own character. Mutual communication and shared victories strengthen their connection to one another. Moss is now available on HTC Vive, Oculus Rift, and PSVR. The game is still in development so there’s no word yet on a release date. Updates to follow. Currently, there isn’t a set timeline on when we can expect these VR titles. 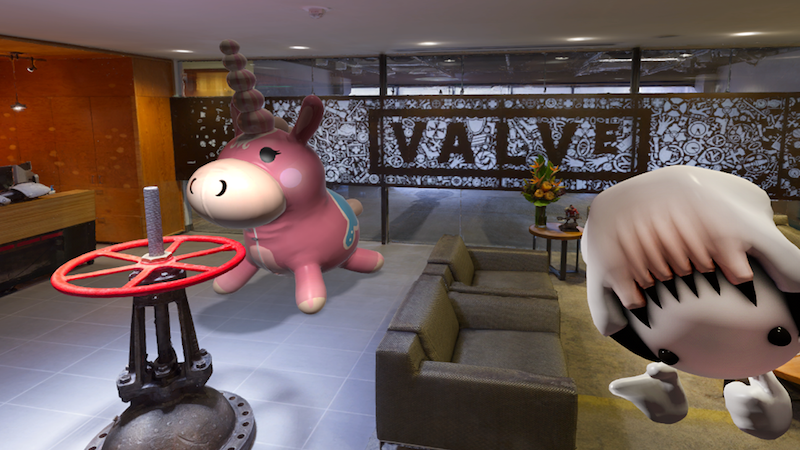 All we know is that we’ll be seeing some amazing VR content from Valve in the near future. On top of all of these games, there are some unconfirmed titles that might make its way onto VR. Mage’s Tale is an immersive, first-person dungeon crawler RPG VR game currently being produced by inXile Entertainment. Players will embark on an epic quest to save your master from evil Gaufroi. There will be eleven dungeons available to stroll through. They range from underground tombs to sewers where you’ll meet opposing foes. The Mage’s Tale is now available on Oculus Rift for $39.99. This portion lists all of the rumored games that might make it to VR in the future. This portion lists all of the games that have great potential while being bootstrapped in funding. 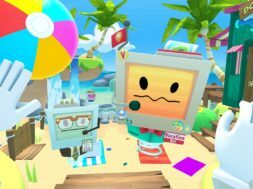 Owlechemy Labs has announced their next upcoming title called Vacation Simulator where users will be hanging out beach side in virtual reality amongst your favorite computer friends from Job Simulator. Vacation Simulator is scheduled to release some time in 2018 for the Oculus Rift, PlayStation VR, and HTC Vive. There isn’t a specific release date yet beyond that. Half-Life 2 in VR has recently been greenlit by the Steam Community to make a full version of the game. Half-Life 2 has been praised by many in the gaming communities as one of the best games ever made. Now the game will be coming to life on the virtual reality platform thanks to the Source VR Mod Team. There isn’t a set date on when Half-Life 2 VR will be available. Stay tuned as we’ll continuously be updating this list! Where is Elite: Dangerous? That game is AMAZING in VR. Oh, good, good! We’re finally going to have something interesting. I just hope that one day some game of that caliber ends up a native PC VR experience. Currently, it’s so boring. 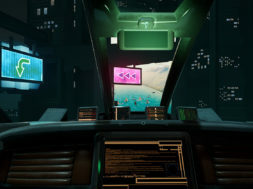 Blade Runner VR is my dream. Real Blade Runner VR. Dude, try Subnautica in VR. It’s awesome. Payday and all bethesda games deliberately don’t support Oculus Rift, you should mention that. They only support Vive. Bethesda blocks Rift out of spite, they sued Rift creators and Facebook etc, but why Payday really doesn’t want to support RIft is unknown. Fallout and Skyrim are both fully supported and support Touch controllers for Rift on Steam. They have updated Steam to support the controls. It runs perfectly fine now on Rift with absolutely no work arounds or mods to download. All these ‘Exclusive to platform X’ titles are what will be killing VR. 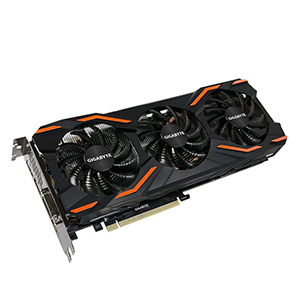 Do manufacturers think people will buy their hardware for one game? Do they think we’re gonna buy 2 different VR sets for playing 2 different games? How stupid are they. If they pay for anyone to make a game for them or make it themselves it’s obvious to make it exclusive.